SEO Company Singapore’s Off-page SEO services focuses on recognizing the relevant link-building opportunities which can be further leveraged through a massive assortment of SEO strategies in Singapore. We employ only standardized and advanced link building and online marketing strategies for our clients’ websites. 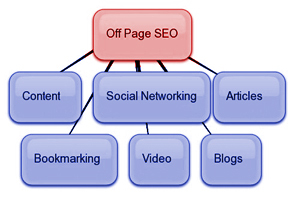 Our legitimate off-page SEO services take time, make continuous efforts and creativeness. Our team of dedicated and experienced SEO experts in Singapore believes that off-page SEO services are done beyond the websites and helps websites acquiring maximum relevant and top-quality backlinks. Top search engines have totally changed the approaches of interpreting backlinks and off-page citations. With constant and advanced algorithm updates by the top search engines which target over-optimization it is extremely imperative than ever to build links cautiously and tactically. Our primary aim is to build an extremely strong and natural backlink portfolio for our clients’ website through off-page search engine optimization services in Singapore. Building relevant, unique and top-quality website content which earns links naturally from external sources. Building links having changeable anchor text/link text. Employing a diversified sources and online assets like articles, press releases, blogs and other related sites to build natural links. Building links in different type like contextual links, image links and blogroll links. Through building a powerful and natural link portfolio for each of our client’s website we help their website to capitalize on its potential for rank higher in the search engines. Our off-page SEO services are an integral part of online marketing practices and are the primary resources of building a powerful off-page authority and credibility. Blog Setup, Post Creation and Promotion. Our winning off-page SEO services in Singapore efforts focus on making our clients’ website content visible to the top search engines, but they require building connections with other significant entities online to earn the power to battle for the most rewarding keywords. By creating unique, top-quality and engaging content which is helpful for your visitors, our professional off-page search engine optimization services in Singapore can prove to be way more effective. Our winning off-page SEO practices assist in building the back-links required for powerful SEO referrals and online PR management. With our appropriate off-page SEO services in Singapore our clients can rest assured of the fact that their voice is being heard. Please feel free to contact us at: +65 65738429 info@seocompany.com.sg and jazz-up your website’s search engine rankings with our off-page SEO services in Singapore!